The team behind North Park's Sabuku Sushi have launched a pick-up and delivery-only sister concept called MunchiBowl, which is now dishing up 20 different customizable bowl options ranging from rice to noodle to mac-n-cheese and pasta. From Sabuku Sushi owner Bob Pasela, MunchiBowl is a new non-restaurant, online-only eatery that incorporates over 20 different customizable options all served within a mega 48 ounce bowl starting at $7.50 per item. Popular bowl options include the Spicy Chicken Bowl, Zesty Mac & Cheese Bowl, Brunch Bowl, Teriyaki Bowl and Grilled Chicken Bowl. MunchiBowl also offers kid-friendly bowls, as well as drinks and dessert. Each bowl is packed with a base of rice, noodles, pasta, scrambled eggs or broth, flavorful veggies and spices and a tasty protein of the customer's choice. 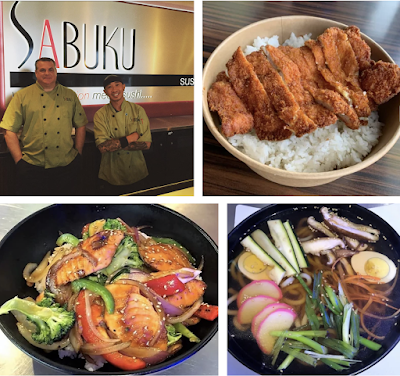 MunchiBowl is an online restaurant concept available through delivery apps like Postmates and UberEats, as well as for pick up at Sabuku Sushi, located at 3027 Adams Avenue on the border of North Park and Normal Heights. For more information, visit MunchiBowl.com.